A new study reveals the top eight ways to earn referrals from those who are not your clients, meaning referrals from people who have never worked directly with you. Most studies reveal about 75 percent of new clients are personally referred to you by existing clients. So motivating non-clients to refer is an important source of potential files and should be a focus in your personal business development plan. 5 percent said “They receive positive online reviews”. 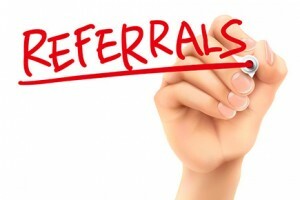 More than half of all non-client referrals involve your online marketing. The results are consistent with data from several other recent studies, including our own National Marketing Effectiveness Survey of local and regional corporate, transactional and defense law firms. We recognize the added time and effort these tactics require. However, we note that all will bolster your current marketing by further encouraging word-of-mouth referrals from clients. This survey and all other data we’ve seen confirms most potential prospects, 60 to 80 percent depending on the survey, go online, and nearly always to your website, to confirm a personal recommendation before ever contacting you. If your online persona and postings confirm what they were told, you will get the call. Otherwise, the prospect stays with their current provider or goes elsewhere. “The web is increasingly a cornerstone for professional services buyers,” according to the study’s authors, Hinge, a professional services marketing and branding agency. That observation is consistent with a study several years ago by Cone revealing that 80 percent of consumers had rejected a personal recommendation based on what they subsequently found online. The 1,300 questioned buyers were decision makers for the following services: legal, accounting and finance, technology, architecture, engineering, construction, marketing and management consulting.